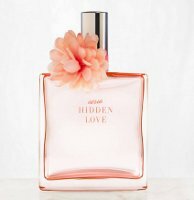 American Eagle’s Aerie brand has launched Hidden Love, a new fragrance for women. Hidden Love features notes of lemon blossom, jasmine and vanilla orchid. Aerie Hidden Love is available in 50 ml, concentration unknown. There is also a rollerball, size unknown. Just be you. Wrap yourself in the confident embrace of who you truly are. The notes include mandarin, red fruits, pineapple, muguet, freesia, jasmine, sandalwood, vanilla and musk. 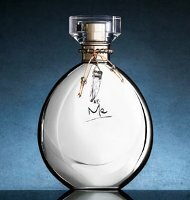 AE Me is available in 50 ml spray, concentration unknown. There is also a rollerball, size unknown. Cool confidence. For the modern man with rugged sensibilities. With notes of violet, mandarin, apple, cardamom, lotus, lavender, labdanum, amber, patchouli, vanilla and sandalwood. 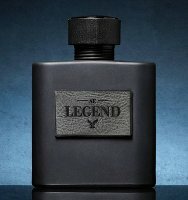 AE Legend for him is available in 50 ml Cologne or 127 g Body Spray. I assume Hidden Love is discreet!